Read all three emails in full below. On Friday March 9th, Mr. Troetti and Mr. DaPonte sent emails to all families and students with a plan to allow students to have a voice about their frustration with continued acts of school violence. We, along with all of the regional school districts and our own student leaders, organized an event to support student expression while keeping all of our students safe. For your convenience, I have provided a copy of the BHS & BMS emails below. Since sending the email, many students have indicated and promoted on social media, that they were planning events above and beyond the school sanctioned event. Our first goal is to keep our students safe. We cannot sanction/organize such an activity; it minimizes our control of the situation as it is a violation of school policy and creates an unsafe environment. To repeat, we are going forward with the planned advisory to allow our students a voice against school violence. We do not condone additional activities beyond the school sanctioned events. Secondly, we have been informed about a threatening post circulating on social media. We contacted the police immediately and they have investigated the matter. It appears that this threat is circulating around the region, state and country, and it does not appear to be localized to Bethel. Nonetheless, we will have a police presence on campus throughout the day. It is important to emphasize with your children not to circulate this type of information on social media. A more appropriate response is to inform administration immediately. We will provide communication at the end of the day to families regarding today’s activities. In the meantime, if you have any concerns, please do not hesitate to contact your child’s school. As many of you are aware, the issue of school violence, particularly since the incident in Parkland, Florida has caused students across the country to impact a change to reduce school violence. In our region, we have a heightened awareness, due to the tragedy of Sandy Hook. This voice is evolving out of a generation of students who were born after Columbine and unfortunately have had to continuously see acts of school violence as part of their school experience. There are several national student led organizations who are planning events to engage stakeholders in the conversation about generating a collective community conversation to end school violence. Students at Bethel High School have indicated that they also want to make a statement about their frustration with continued acts of school violence. We have met with some of the students to discuss ways to support opening a dialogue in ending school violence, while respecting all viewpoints and keeping our students safe. 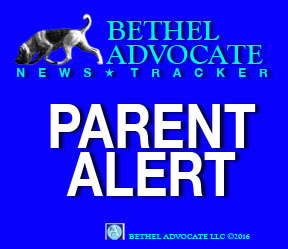 At Bethel High School, we will run Advisory on March 14th. As part of Advisory, students who want to proceed to the football field for 17 minutes (representing the 17 lives lost at Marjory Stoneman Douglas High School), will conduct a moment of silence and each victim’s name will be read. The student leaders will also educate their peers on mechanisms to communicate their opinions to government officials as part of our democratic process (a lesson in civics). We will extend an invitation to our local, state, and national officials to participate. For students who do not wish to participate in this advisory lesson, an alternate location and activity will be provided. If you have any questions or concerns regarding our plans, please do not hesitate to contact me. As many of you are aware the recent incident in Parkland, Florida has sparked students across the country to impact a change to reduce school violence. In our region, we have a heightened awareness, due to the tragedy of Sandy Hook. This voice is evolving out of a generation of students who were born after Columbine and unfortunately have had to continuously see acts of school violence as part of their school experience. Currently, there are several national student led organizations planning events to engage stakeholders in the conversation about generating a collective community conversation to end school violence. Some students at Bethel Middle School have indicated that they also want to make a statement about their frustration with continued acts of school violence. We have met with some of the students to discuss ways to allow them to have a voice. As a result, Bethel Middle School will run an activity on March 14th. As part of the activity, students will participate in a moment of silence to honor the victims of the school violence at Parkland, Florida. Following, students will decorate doves that will be hung up around the school as a symbol of peace and unity. If for some reason you do not wish your child to participate in this activity, simply complete this online form https://goo.gl/forms/53WrXC06lM8YDwQv1 by March 12th and an alternative activity will be provided. Our goal is to ensure that our students are safe and to teach them age appropriate ways to express their viewpoints. We will work closely with our staff to make this a structured learning experience, while providing an outlet for student expression.